Howdy y’all! 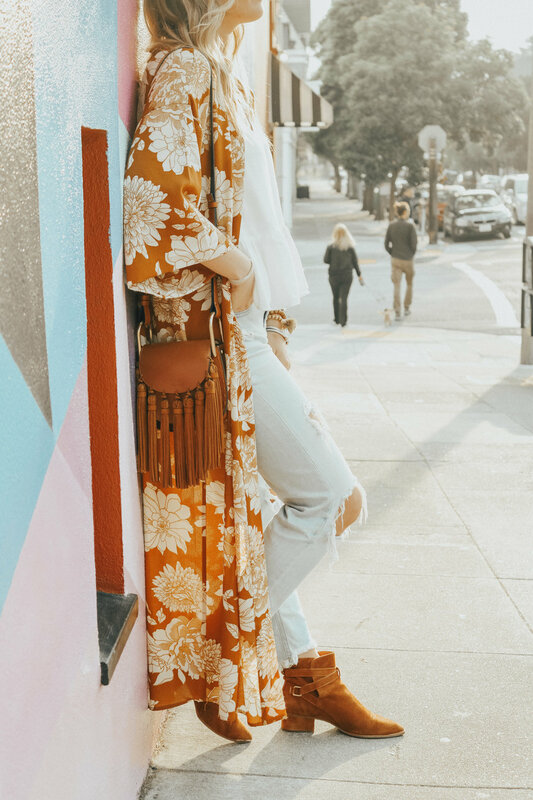 I bought this floral duster probably a month or so ago and I’m so sorry to let you know that it is now sold out :( But keep your eye out on this link because it will most likely be restocked! I did link similar options at the end of this post for you to shop. Burnt orange or “spice” as I often see it called is the perfect color for fall. And no, I’m not just saying that because of UT. Although, this duster/kimono would be pretty perfect for a football game. #hookem. 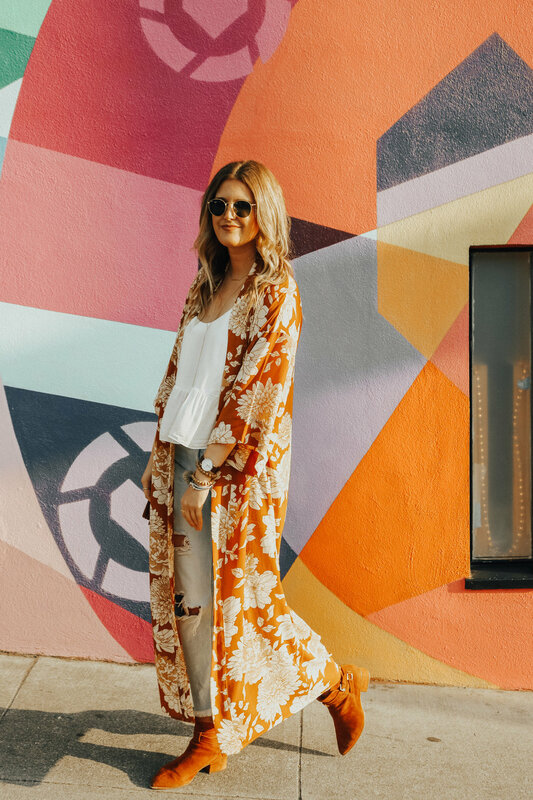 Long kimonos or dusters I like to call them are perfect pieces to add to your closet as we transition into the cooler weather. 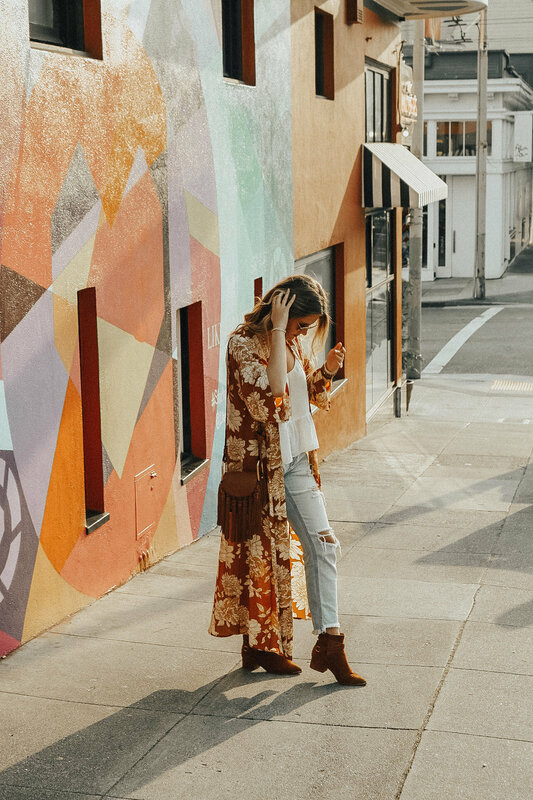 They are lightweight enough that you aren’t sweating once the cool morning wears off but they add a nice touch of layering for a fall-ish look. 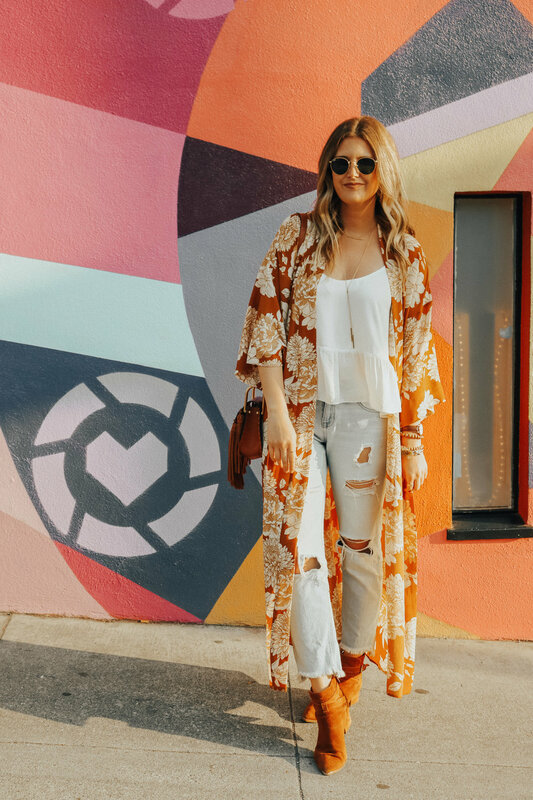 I kept my look casual by pairing it with my favorite pair of boyfriend jeans and booties for an easy and effortless look. 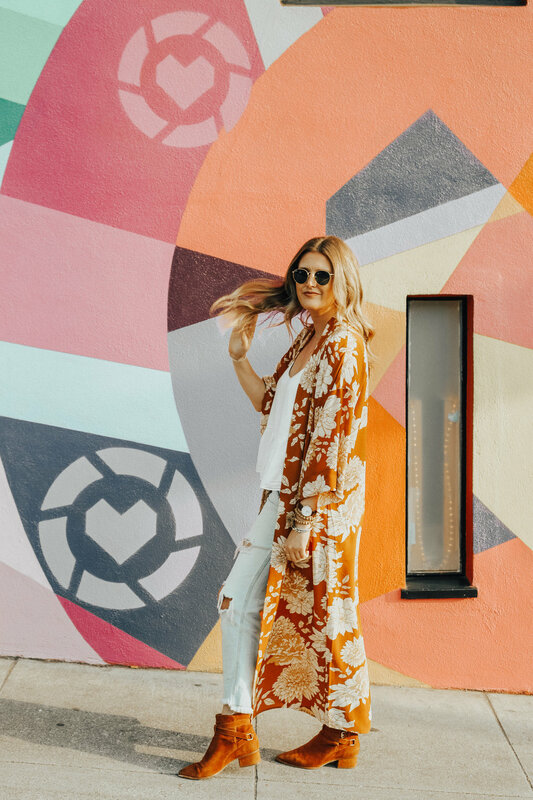 Shop more cute dusters by clicking the photos below!